Homeandawayfan. had the most liked content! Ailsa was more cheerful and feisty in the early years. I think her being attacked in 1995 by a dirty sod was what changed her. 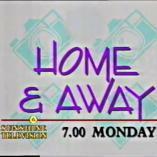 1995 was a kind of pre 2000 revamp for H&A. The show got a bit grittier and faster paced, seeing as 1994 was a snoozefest. 1995 was like 1988/1989, it mixed drama with light hearted stuff. 1988 and 1995 were 2 very similar years. Neighbours and H&A must have lightened people's moods in the UK, and reduced seasonal affective disorder in winter. An hour of sunny skies, hunks and beach babes, and young pranksters. Made a welcome change from the rainy streets of Weatherfield and Walford, and rainy muddy fields of Emmerdale. By 2000, though, in terms of viewing in the UK, Neighbours and H&A had almost sunk into oblivion whereas 10 years earlier, the country had gone Neighbours and H&A mad. I think 1995 was the 2 shows last stellar years of success in the UK as by 1996/1997 their popularity was plummeting. Not sure why. I see 1990 and 1995 as the 2 "pre 2000" revamps. For a while yes, but I feel the show calmed down a lot by 1998/1999. 2005 was when H&A started to change for the worse. 2004 was the last good year. Same for the Erinsborough soap. I like new actors to join H&A, including younger but also older actors who have had a great career on TV but have not yet been in at least either H&A or Neighbours. Rather than recycling actors. Justin Rosniak has played 3 roles in the show now as did John Adam. Gary Files is an actor I'd love to see in H&A. Never say never as many former Neighbours actors are appearing in H&A and vice versa. Val Lehman could play Irene's sister Wendy. Fiona Stewart played her in 1995 but she could be recast with Val in the role. Gloria Ajenstat, another actress I would like in H&A. She played Susan Cole in Neighbours years ago. Shane Parrish. He faked his death to get away from mobsters who were after him. One night he crawled out of the mortuary and reunited with Angel in England. Yes, I even thought a twin sister, though they would have to explain that very well, and it may stretch credibility but with the current writers, nothing is impossible. They did it with Kat in EastEnders recently. Maybe Morag passed out during pregnancy and gave birth to 2 daughters, one was quietly adopted out, and Bobby was kept for the time being and later given to Al and Doris. This means Don Fisher would have another daughter out there he knows nothing about. Bobby Marshall. However it would be a huge stretch though as we saw her dead body floating in the river after the boat crash. It would be one hell of a retcon if they did and no doubt they would mess her up with today's standards of writing and story lining. If Bobby had died offscreen it may work more, Harold Bishop style. Clive probably moved away from Summer Bay and Don helped him pack offscreen. Even after he sacked them, Clive was probably sick of the antics of Lance and Martin, Summer Bay's answer to Del Boy Trotter and Rodney Trotter. Angel Parrish. Lives in London and is now the manager of a Australian restaurant in Kensington which has a Donald Fisher Saloon, as a tribute to her old headmaster who she is still in contact with. Her daughter Shane Parrish Jnr has a boyfriend. Donald Fisher. Enjoying his retirement in the Whitsundays but shaking his head at the endless news reports on the crime rise in his old town of Summer Bay. "Those Braxton's started it off. I would issue endless detentions if I ever had been their teacher at school". Rob Storey. Still lives in Summer Bay, running the boatshed, and gets his daily fix of watching other Summer Bay residents having a fight or steamy kiss on the beach. Alison Patterson. In prison for tax evasion.